The information on this page reflects the suspected or confirmed HAB events that the Department was made aware of in 2019. 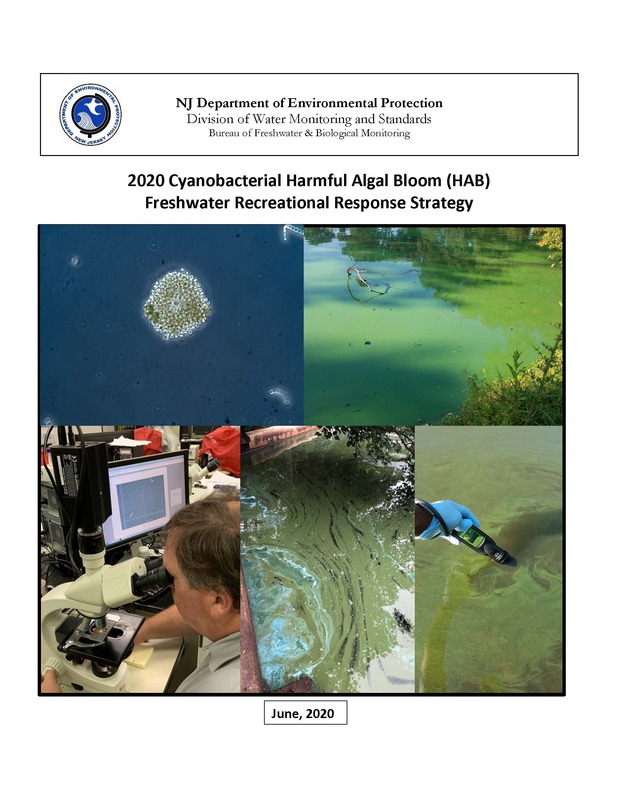 There may be other HABs that are occuring in NJ that are not reflected here. If you see a suspected HAB, avoid it & report it. In the case of a suspected bloom, people, pets and livestock should avoid contact with discolored water or water that has algae scums on the surface. Do not drink or consume the water. Do not eat fish from the waterbody. If there is contact with the water, rinse off as soon as possible with fresh water and seek medical or veterinary assistance if people or animals are experiencing adverse health effects after being exposed to a bloom. The New Jersey State map image reflects the locations of reported HABs. Numbers on the map correspond to the accompanying table below which provides additional information regarding each HAB report including the affected waterbody(ies), county and municipality, and whether the bloom is suspected, confirmed or not a HAB after all. If the bloom is a HAB, the table also lists the lead agency, whether or not Advisories have been posted, if so, by whom, when they were posted and when they were removed. Links to additional information, when available, are also included. To report a suspected HAB, call the NJDEP Hotline (1-877-WARNDEP) or use the WARN NJDEP mobile app.